Daily Free Real Money Lotto Draws! Guaranteed Daily Winners & Big Rollovers! Welcome to Free National Lotto! Free Lotto, Free For Everyone, Free Forever! Welcome to Free National Lotto, the free to play lottery site that offers you the potential to win money in the Daily Draw every day, and the 5-Ball Draw twice a week. All you have to do is register on the site and select your five lucky numbers between 1 and 40, then just check the site every day to see whether you have won a prize, it really is that simple! We have a draw every day of the week, some days more! Our Daily Draw is guaranteed to have a winner every day! All you need to do is check if its you and claim! All winnings on Free National Lotto are real money and will be paid via PayPal. It's very simple, we promise! To join simply type your five lucky numbers between 1 and 40 in the balls below & enter your email and password! Remember, if more than 1 player shares a set of numbers they could all claim a share of the prize. Use our useful tool to find yourself a unique set of lucky numbers and win big! How Many Players Share My Numbers? Passwords must be a minimum of eight characters, at least one uppercase letter, one lowercase letter and one number. What Free Lottery Draws Do We Offer? We currently have two main draws at Free National Lotto which are the Daily Draw (numbers drawn at 12:00 every day) and the 5 Ball Draw (numbers drawn on Thursday’s and Sunday’s at 20:00). 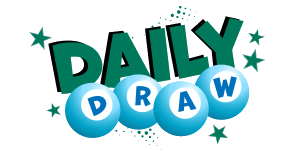 You can see all the details of both the Daily Draw and the 5 Ball Draw, as well as the results of these free lotteries. In our Daily Draw we currently give away £5 a day and there is guaranteed to be a winner as we select the winning numbers only from number selections that have been entered by our users. 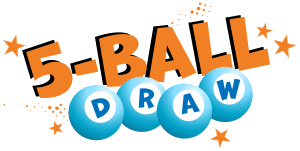 The 5 Ball Draw uses a random number generator to select the winning numbers so the chances of winning are a lot lower but the jackpot a lot higher. It's very simple, we promise! To join simply pick your 5 numbers (1-40), enter your email address and pick a password and once you've confirmed your email you're ready to play! You will need to visit the site every day to check if you're a winner - Don't worry we'll send you a reminder come and check! If you're one of our lucky winners you will see a claim button below the draw results - simply click this to claim your real cash prize! Once the draw has closed we check the winning claims to ensure the game is fair for everyone and pay out your winnings via PayPal! Join & Play Now! It's So Simple! Why Play At Free National Lotto? As the name suggests our free lottery draws are entirely free to play, and that will never change, yet we give away real money to players every single day. This of course begs the question; how can we do that? It’s really very simple, we earn money from advertising revenue, much like a free newspaper or any other news website that displays advertising to their visitors. There is absolutely no obligation of your part to respond to any of these ads, so don’t worry about that. Once you have registered your account, selected your five lucky numbers, and verified your account you will automatically be entered for both free lottery games here at Free National Lotto. Then to check whether you are a winner you simply come back to the site and login (you should be automatically logged in), and you will see a button on your homepage that says, ‘Collect Prize’. Simply click on that button and we will send you the winning amount via PayPal. Over 50% of our players visit every day! "Brilliant! Few seconds a day to check and I won £20!" "I've won twice now, amazing! Thank you so much!"